Are you sick of Mother Nature dumping you in the deep freeze? 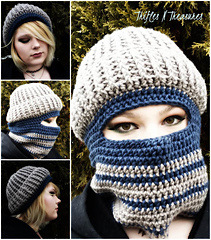 Fight back with this uber warm, soft and squishy hat, with BUILT-IN face mask! !